I was starting to think the other reviewers were exaggerating then 4 days after application the skin started peeling! My feet were thick with hard skin so some is still there but most has gone. And it does peel off and look unpleasant. 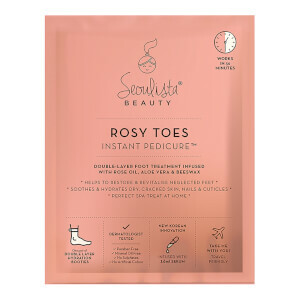 But it has done exactly what I wanted my feet are softer I'll probably do it again soon to remove the harder calluses left. Use in winter when you can wear socks and be aware that the skin peels off! Applied according to the instructions, 7 days later my skin starting peeling....3 days on and my skin is still peeling. It looks like I have a disease and is so very embarrassing what with it being summer. I’m hoping the finishing effect will be good, sadly the the process it pretty horrific! Weared it for 2 hours, after 4 days dead skin started to peel off, after 6 days dead skin totally peeled off/ I'm very happy with this purchase, the product does what it says. This was by far the worst foot treatment I’ve ever had the misfortune of trying. 2 weeks on and I’m still suffering the consequence. My feet look diseased thanks to the peel not fully unpeeling and making it look like I have a skin disorder - very embarrassing especially considering it’s summer here! I wish I’d never wasted my money on this TERRIBLE product. I want my normal non-diseased looking feet back!!!!! I was afraid that it would may be sting or hurt, but it didnt ! I was alright and the results are good. the peel is working well and I followed the instructions. 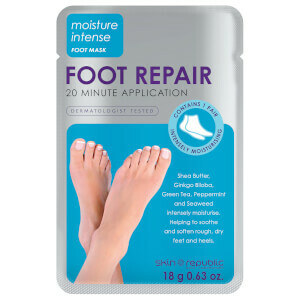 Good product for working ladies like me as I cant find time to attend to my feet as much I want. I will definitely order more for my mom too and I am sure she will love it. good offer too (3 for 2). happy holidays!